A man’s man is not a man who shies away from the crowd nor a man who hides when the going gets tough. He is someone who is loud, proud, and stands out from the crowd by being their absolute best in every aspect, even in their personal care. “We want today’s man to not settle for the bland and the conventional. Today’s man should be able to stand out and be fully confident of themselves. 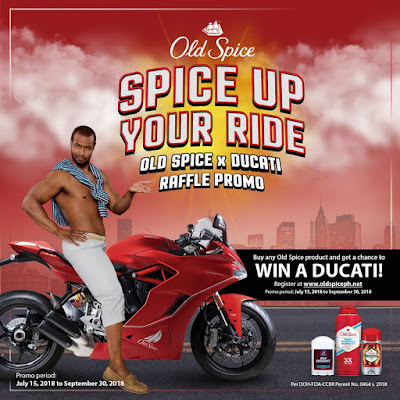 With Old Spice, you get to spice up your ride, making you feel confident in whatever endeavor you are in to, whether it is about your career, your sport, your social life, or your personal life. We want you to take charge. 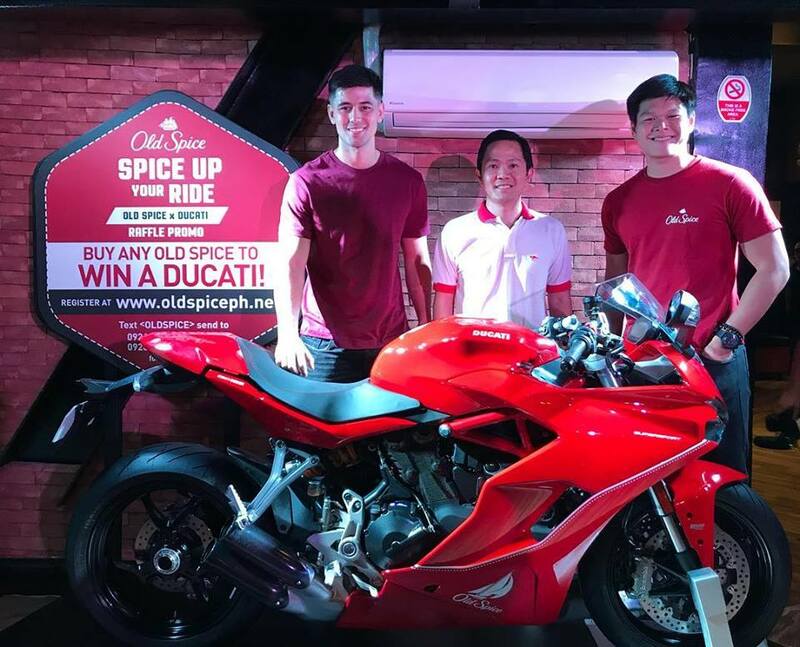 And with our friends in Ducati, you get to do this by elevating your game with the limited edition Old Spice Ducati SuperSport,” shared by Old Spice Philippines at the launch event at Social House, Circuit Makati, Makati City. To join the promo, all you have to do is man up and purchase any Old Spice product. 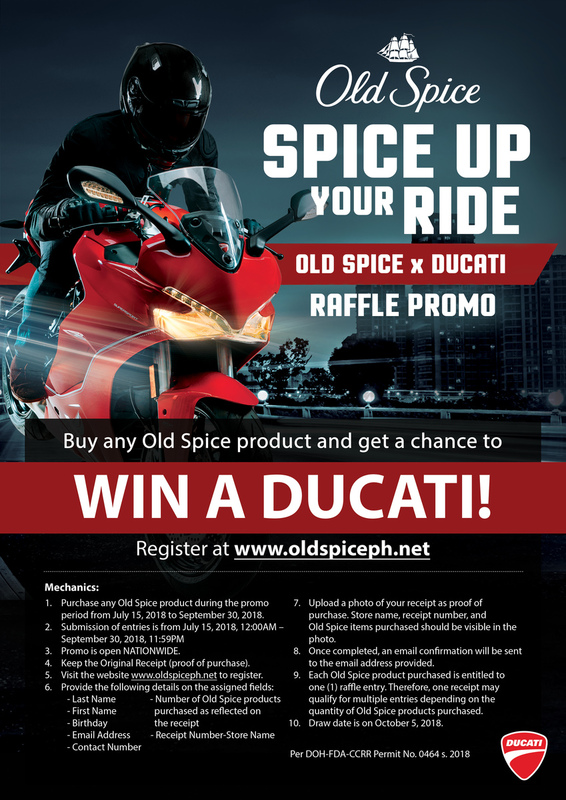 You can then submit your entry at www.oldspiceph.net, where you will have to fill out your personal information, contact details, and the receipt number of the product that you purchased. Promo Period: JULY 15, 2018 – OCTOBER 31, 2018. Open NATIONWIDE. 1. Purchase any Old Spice product during the promo period. 4. Upload a photo of your receipt as proof of purchase. Store name, receipt number, and Old Spice items purchased should be visible in the photo. 5. Once completed, an email confirmation will be sent to the email address provided. 6. 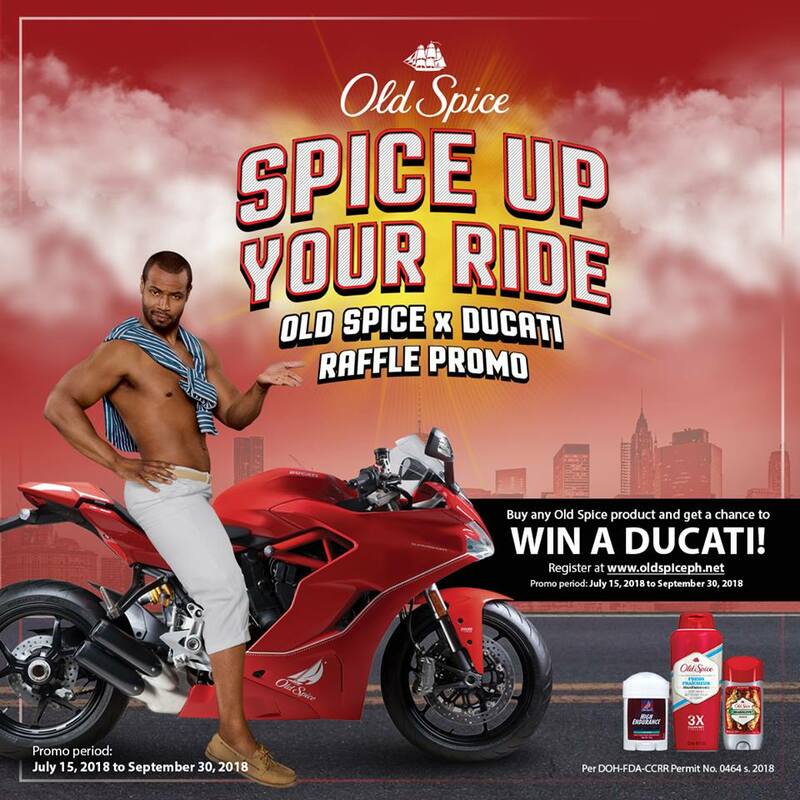 Each Old Spice product purchased is entitled to one (1) raffle entry. Therefore, one receipt may qualify for multiple entries depending on the quantity of Old Spice products purchased. 7. Draw date is on November 5, 2018. For the complete mechanics, details of the promo, and as well as more information about Old Spice, you check out the website (www.oldspiceph.net) and Facebook page (www.facebook.com/OldSpicePH). The promo runs from July 15 to October 31, 2018 with the draw happening on November 5, 2018.